Just in time for holiday sewing! I have a new online class with Imagine with Riley Blake called the Wool Hexie Christmas Stocking. 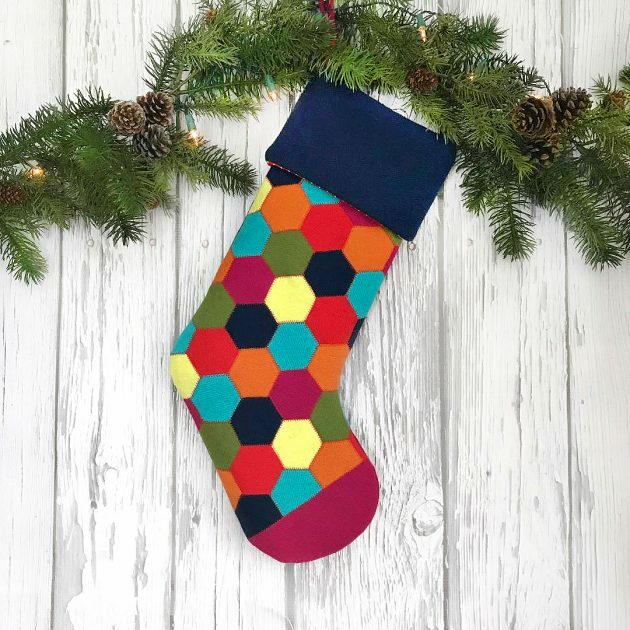 I love Riley Blake’s wool solids and I knew the bright colors would look great in a Christmas Stocking. Of course I couldn’t pick just one color so I went a little crazy and chose seven! In the class you’ll learn how to piece hexagons together using a special technique. 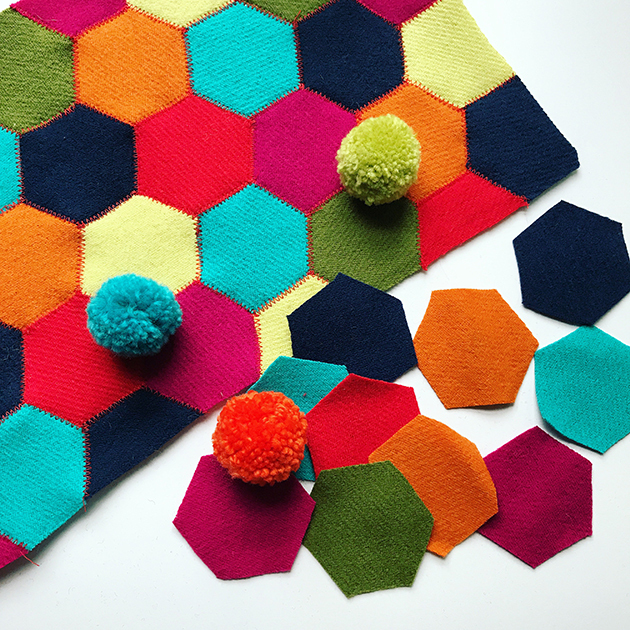 First I’ll show you an easy way to cut the hexagons and sew them together using a zigzag stitch. Next you’ll assemble the stocking and the lining. 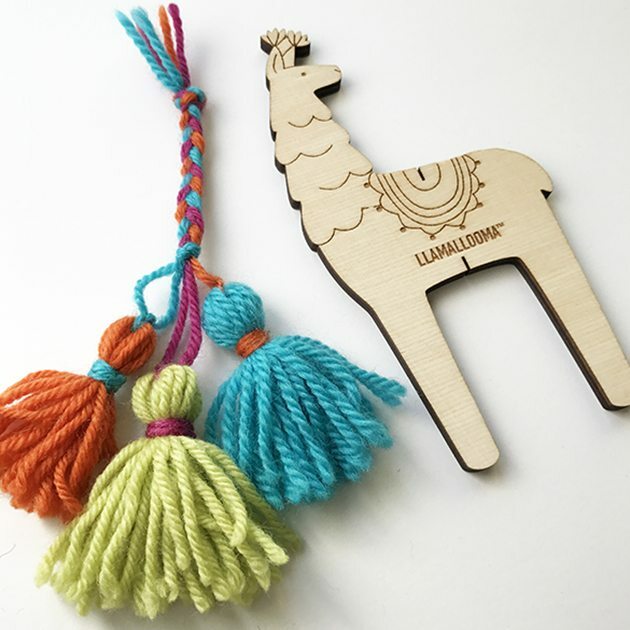 Finally I’ll show you how to put it all together and add some fun accents, namely tassels!